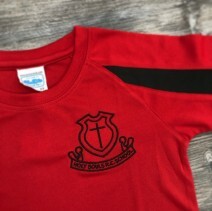 Contrast colour storts t-shirt with school badge. 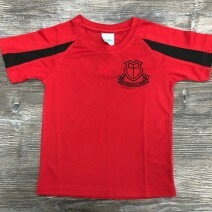 Raglan sleeve design for ease of movement, in a breathable fabric. UPF 30+ UV protection.